Tips Nail Bar does croc manicures for Lucian Matis 2012. How to? Read on. 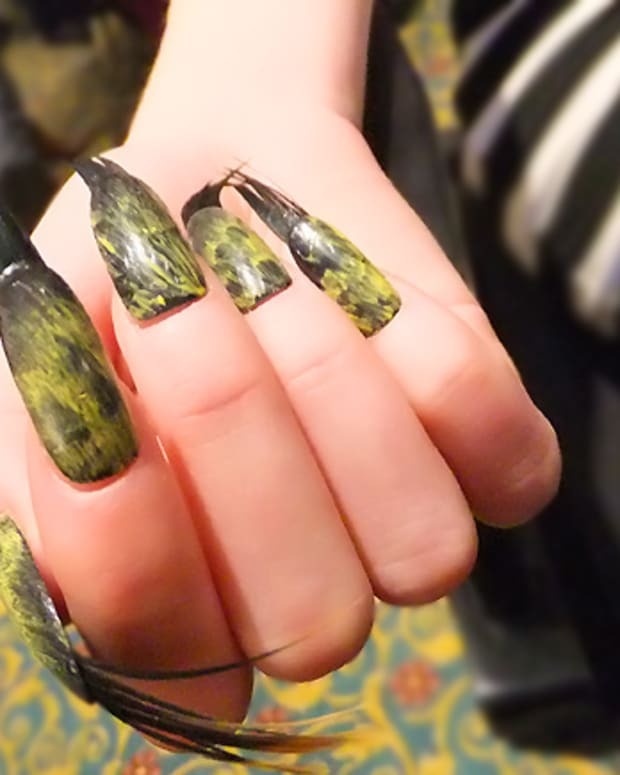 Creative manicures grabbed attention (like they did last season) at Lucian Matis&apos; FW 2012 show last night at the Royal York HotelÂ in Toronto. 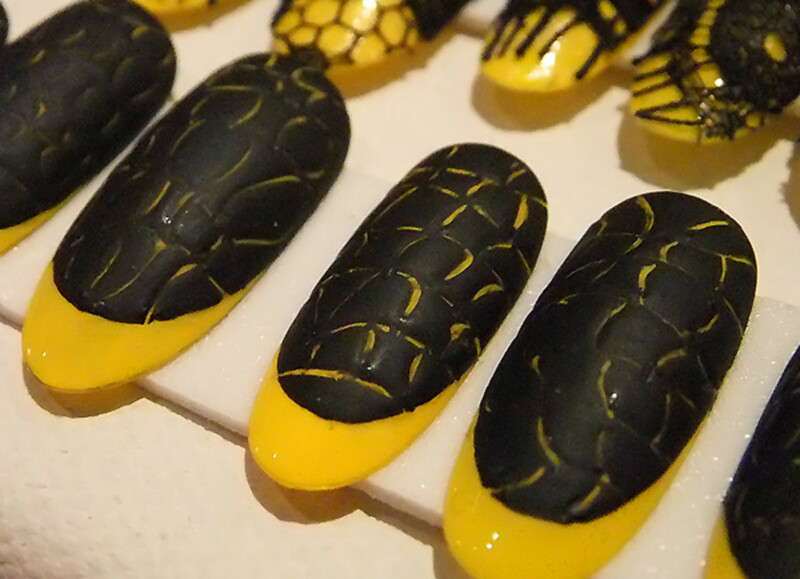 Along with yellow-and-black-lace nails and one other look, a croc mani showed up on the runway with the models. Created by Leeanne Colley and the Tips Nail Bar & Spa team on Kiss Active Oval nails ($9.49 at Rexall), they feature the same base as the lace-top nails: Revlon Neon Nail Art duo in Neon Light ($8.95) coming this August. Each of the eight Neon shades will be paired with a white polish on the other end of the wand; a white base makes the neon topcoat look intense. The black polish is Revlon Nail Enamel in Knockout ($5.95, drugstores and mass retailers), applied once the Neon Light yellow is thoroughly dry. Just 30 seconds after the Knockout application, the nail team used toothpicks to create the grooves. 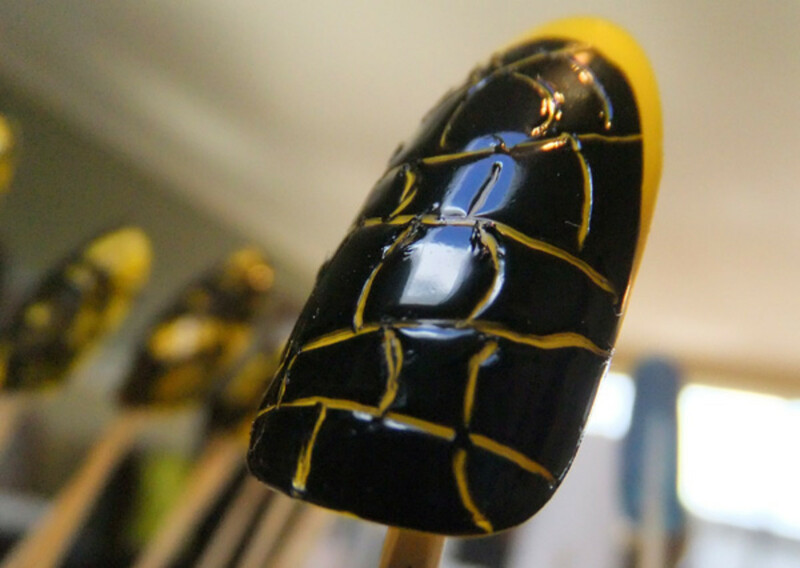 "You can do so many things with wet polish and a toothpick," says Leeanne. What do you think? More interesting than shatter? Would you try it?